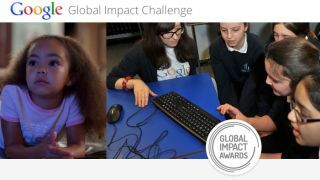 A team of judges including Tim Berners-Lee and Sir Richard Branson have announced the winners of Google's Impact Challenge, awarding £2.6 million between four charities who are trying to change the world through innovative technology. The judging panel, decided on three worthy causes for the £500,000 prizes with the public vote choosing a fourth. More than five million people voted, but as you might have predicted given the UK's love of animals, it was the Zoological Society of London picked out for the public choice. The judging panel's selection were SolarAid, Integrity Action and CDI Apps for Good and all four will also receive mentoring from Google staff.